Halwa (Halva/ Halawa/ Sheera in Hindi) is one of the most popular Indian dessert recipes. The word halwa means sweetness. It is prepared using flour or nuts as the base ingredient. 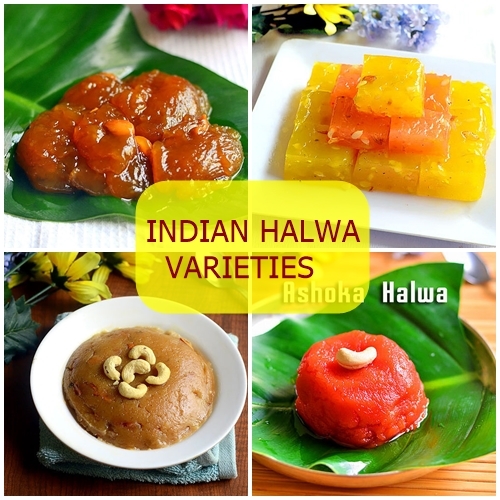 As Diwali is fast approaching, I thought of sharing a collection of Halwa varieties from my space. In this lis..